This is a very short series of personal work I happened to finish around one of the coziest and most contemplative times of the year – Christmas and they somehow fit perfectly well for the atmosphere of this holiday, a celebration of faith and love. 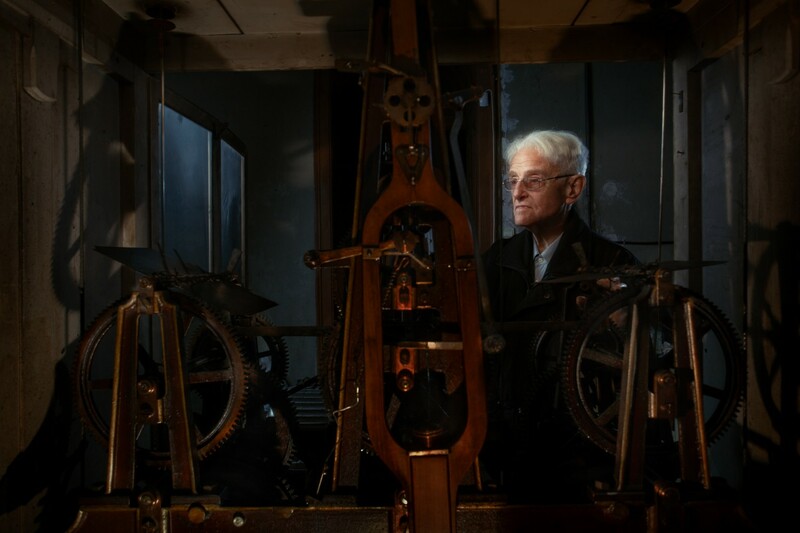 Nikolay, 79, takes care of a very special clock, which is found in the second largest Bulgarian Orthodox Church – “St. Dimiter” in Vidin. The church was built by the design of Italian architect Bachnani and after it was finished in 1899, a decision was made for a clock mechanism to be installed, which was, at that time, unique not only to the town, but to the whole country. The mechanism was a German build, designed by Johan Mannhardt, which costed 10000 golden leva, but since the people of the city only had 8500, after short negotiations, the price was settled and the machine was to be delivered by the town’s port on the river Danube. The clock was installed in the church’s tower in 1900. Its construction is one of a kind for its time, employing a mechanical principle, which allows the whole mechanism to be strained for a very short time, being perfectly at rest for the majority of his operation, resulting in a very prolonged life expectancy. 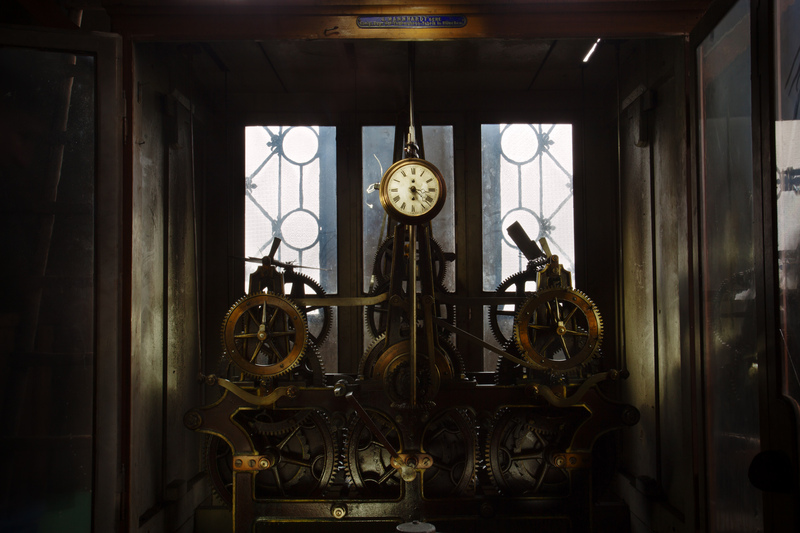 It has been working for 114 years, has 4 faces and is connected to the church’s large bells, which announce the time every 15 minutes. 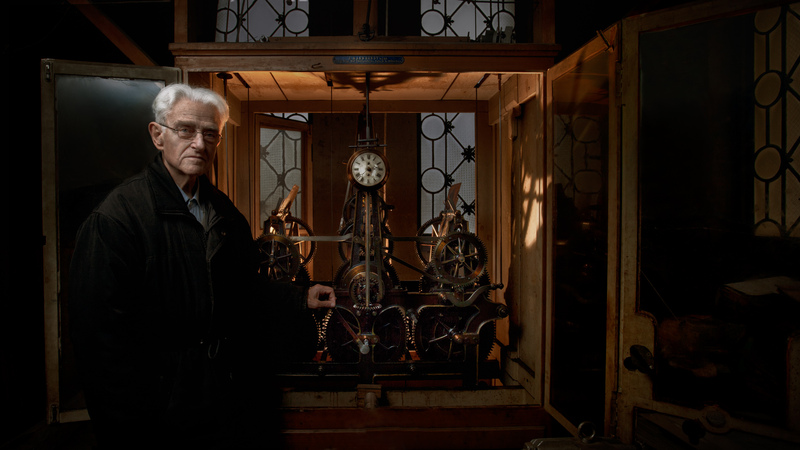 Nikolay is a retired engineer, he has been taking care of the clock for 16 years, doing it completely for free for most of this time, oftentimes purchasing basic maintenance tools with part of his own pension. The mechanism requires occasional wind-up, which is done with a crank he made himself and even though serious physical effort is needed, he does that every 5 days. He is one of the most cordial people I have ever had the pleasure to shoot and the only thing he sounded worried about was that he didn’t know what is going to happen to the clock after him and will there be someone to keep taking care of it. This place is one of those rare ones, in which a fortunate photographer could end up every now and then. A place that holds a spirit and a story on its own. But I believe those remain in such places after the extraordinary people who leave a part of their spirit, will and faith, and true dedication to something. And, for the most part, getting the chance to touch such a place and a person is a reward enough all on its own.